I'm thrilled to be part of an exhibition at the School of Visual Arts this month. 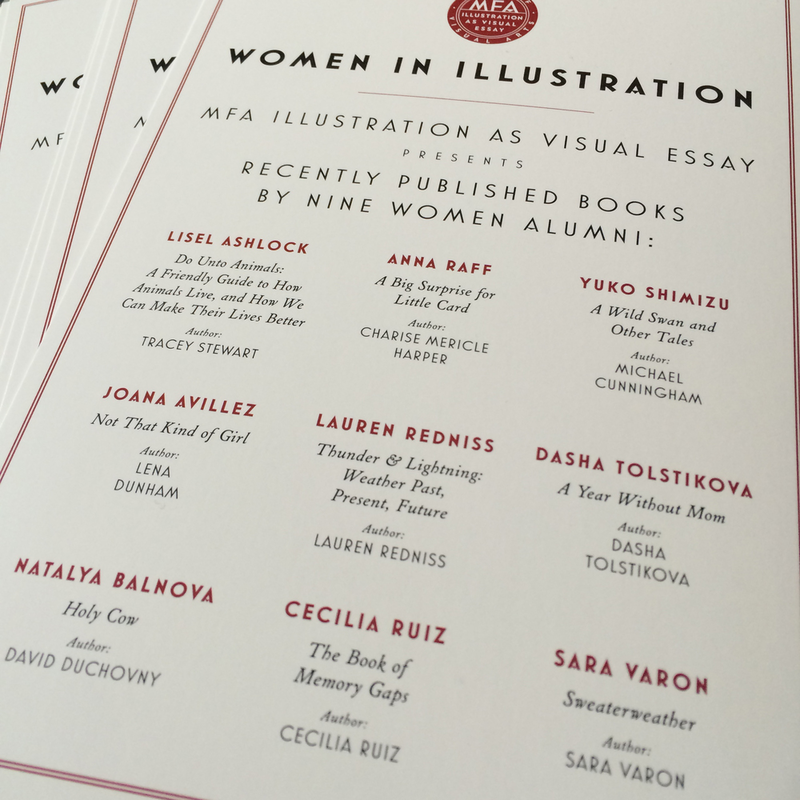 "Women in Illustration" features the work of nine graduates of the Illustration as Visual Essay program who have authored or illustrated books in the past year. If you look at this list of talent, you'll understand why I'm pinching myself at being included: Dasha Tolstikova, Joana Avillez, Lisel Ashlock, Cecilia Ruiz, Sara Varon, Lauren Redniss, Natalya Balnova, and Yuko Shimizu. Please join us for the opening reception Wednesday, February 10th at 6PM, at the SVA Gramercy Gallery, 209 East 23rd Street, New York, NY. If that's not convenient, the show is up from February 6th through March 3rd. For more information, please click here. If you're interested in my illustration news posts prior to November 2015, you're a champion, I adore you, and knock yourself out over here. *That is, if I'm super organized. We respect your privacy. See a sample newsletter.